You may not know this but the husk of the coconut, also known as coir, is made into many products that are used daily like carpets, ropes, door mats, mattresses, car seat covers, brushes, bristles, etc. This fibrous material is tough and highly resistant to sea water. A big bag of coconut husk can cost as little as $10 at the garden or pet supplies store. 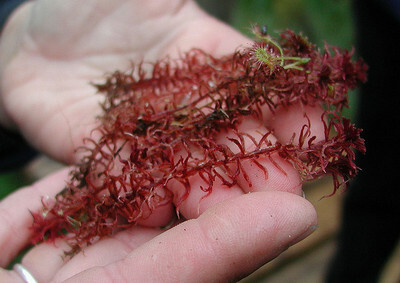 In horticulture, coir is a substitute for sphagnum moss because it is free of bacteria and fungal spores. 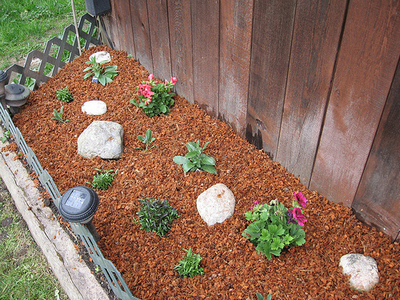 Coarse coir fiber, used as landscape mulch, helps to repel snails and slugs from delicate plantings, unlike bark mulch. 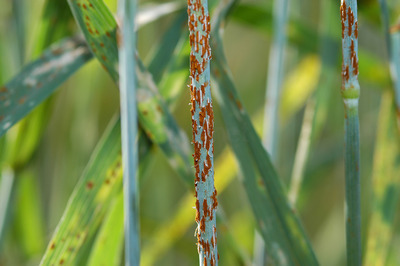 Coconut coir from Mexico has been found to contain large numbers of colonies of the beneficial fungus Aspergillus terreus, which acts as a biological control against plant pathogenic fungi. Coconut husks make excellent growing mediums because they interact with nutrients and hold onto calcium and magnesium while slowly releasing potassium and nitrogen. Furthermore, coconuts are naturally high in lignins, a compound that encourages the development of beneficial bacteria. Coconut husk mulch is considered a more environmentally friendly product than peat moss because coconut husks are a waste product that can be quickly renewed. When coir is broken or sawn up, it can be scattered in muddy spots for some traction and fill. 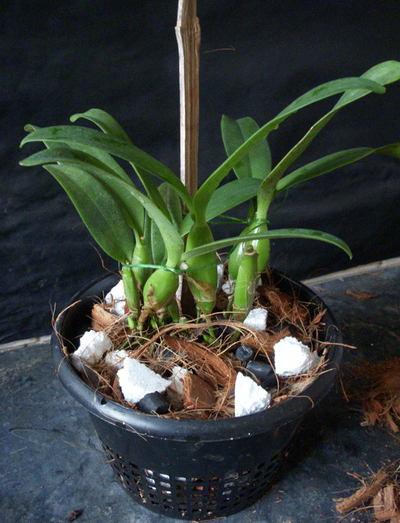 Coir is also used as a substrate to grow mushrooms. 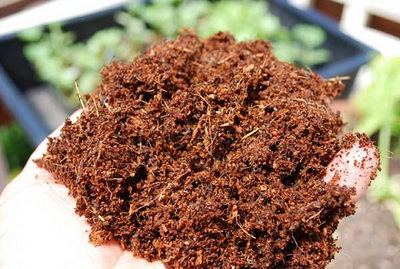 The coir is usually mixed with vermiculite and pasteurized with boiling water. 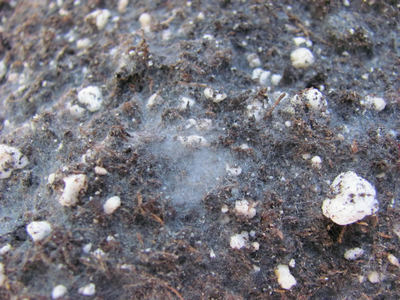 Previously prepared spawn jars are then added, where this spawn is the mushroom’s mycelium. It will colonize the coir/vermiculite mix, eventually fruiting mushrooms. 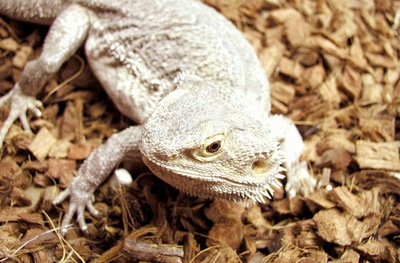 Coir can be used as a terrarium substrate for reptiles or arachnids. 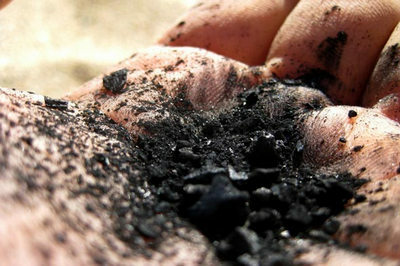 Coconut fiber possesses the best fungus inhibiting effect of natural fiber known, even in the form of activated carbon. 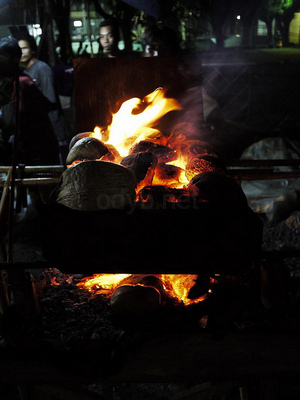 Dried husk makes a great fire for campfires and bed of coals after, which is very suitable for BBQ cooking. 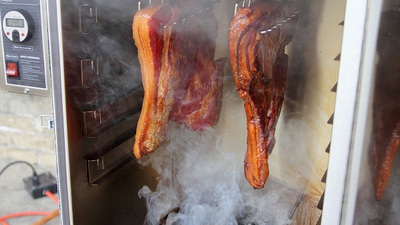 Burning well soaked coconut husk chips make excellent smoked bacon and slow roasted pork belly. 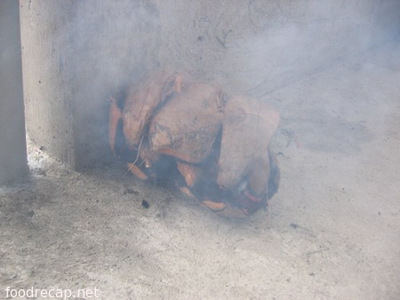 The smoke produced from this is harmless since it is natural, and is effective in repelling mosquitoes. How do I get the husk out of the shell? 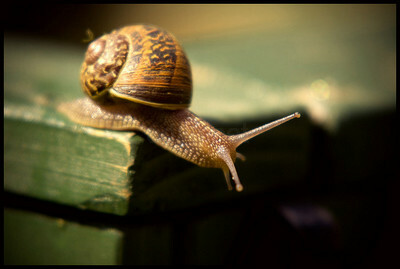 I have cut the shell in half but it takes hours for me to peal all of the husk out! I just wanted to use it in my pots for water retention but am finding this just too difficult? Are there tricks to this task? Well Barbara, use a butter knife.